If you are filtering water at home and want to take your filtering to the next level, a water quality meter device is in order! And you don’t have to buy it separate thanks to this bundle. 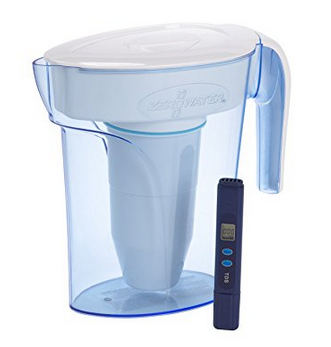 As of the time of writing, $20 gets you the ZeroWater 6-cup Pitcher bundled with a TDS water quality meter. Free 2-day shipping for Prime members. You can buy up to three bundles per customer at the sale price. This set averages 3.7 out of 5 based on 370+ customer reviews and it has 70+ answered questions, so there’s enough known about it to help you make a decision.